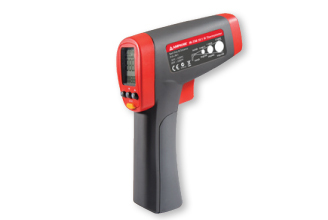 The Amprobe IR-720, a 20:1 spot to distance ratio infrared thermometer, offers best in class accuracy and response time with a temperature measurement range of -26°F to 1922°F or -32°C to 1050°C. 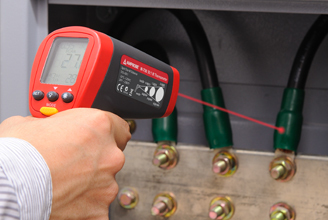 The IR-720 is specifically designed for HVAC/R, electrical, industrial maintenance, automotive as well as quality control and fire prevention applications. Temperature Range 0 ? to 716 ? -18 °C to 380 °C 0 ? to 1022 ? -18 °C to 550 °C -26 ? to 1922 ? -32 °C to 1050 °C -26 ? to 2282 ? -32 °C to 1250 °C -58 ? to 2822 ? 106 TruReward$ points will be placed in your account when you buy this item.